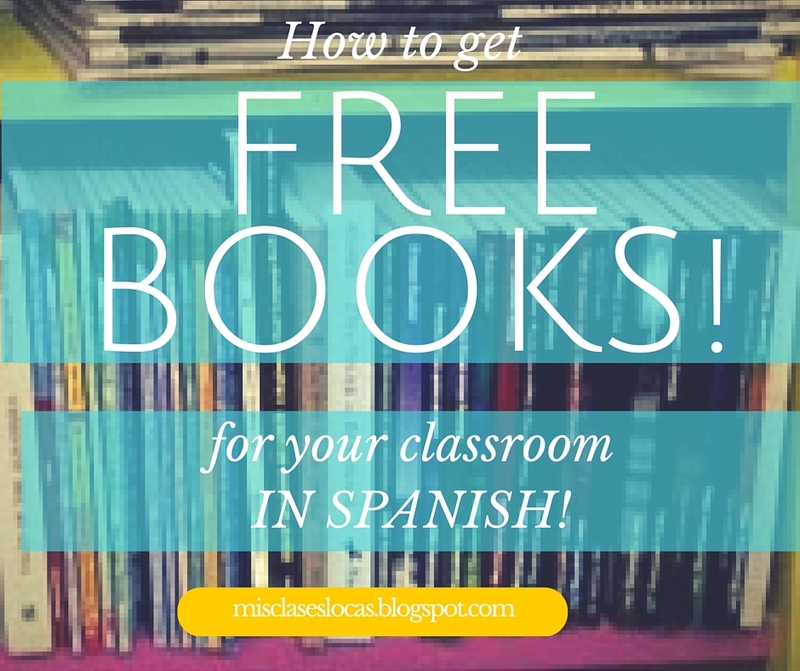 Are you looking for some new FREE resources for your Spanish class? If so, check out the Free Ebooks below, each with 20 free resources. 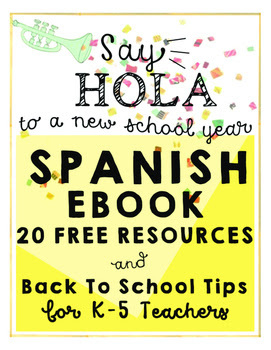 There is a Spanish Back to School Secondary Ebook & Elementary eBook. 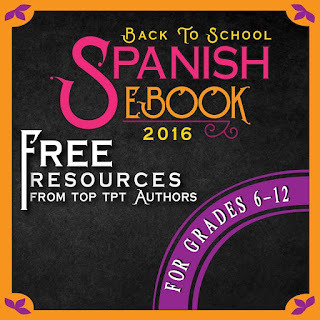 Each page has tips and ideas for back to school from a teacher, with a links to resources. I even have a page in the secondary book! Download today to get your creative juices flowing. Also, while you are on TPT, make sure to start moving items from your wish list to your cart because Monday & Tuesday is the back to school sale! Go through and rate all of your past purchases, to earn credits that you can spend like money too. 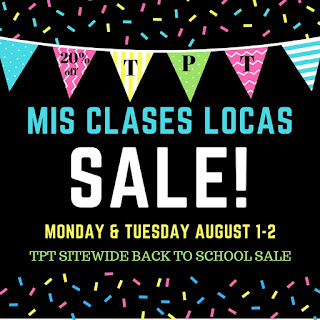 Everything in My store - Mis Clases Locas will be 20% off both days. Make sure to use the code BestYear for an additional 10% off EVERYTHING site wide! I have already started gathering resources to enhance the novel and to make it a full cultural unit. The novel is chock full of perfect cultural expansion topics surrounding the country of Colombia. 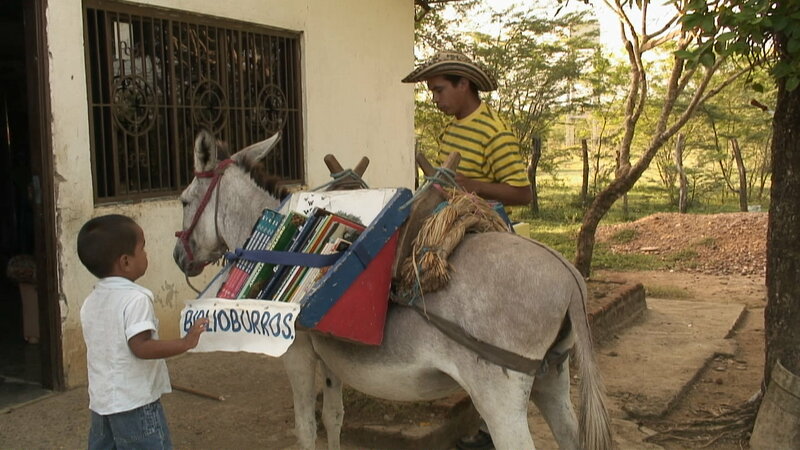 Some of my personal favorites are the Biblioburro and El Desfile del Yipao. See the resources below that I am planning to use so far. 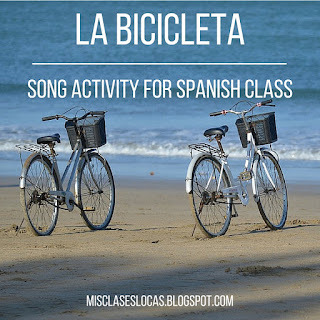 A new song that just came out this summer, La Bicicleta by Carlos Vives & Shakira. 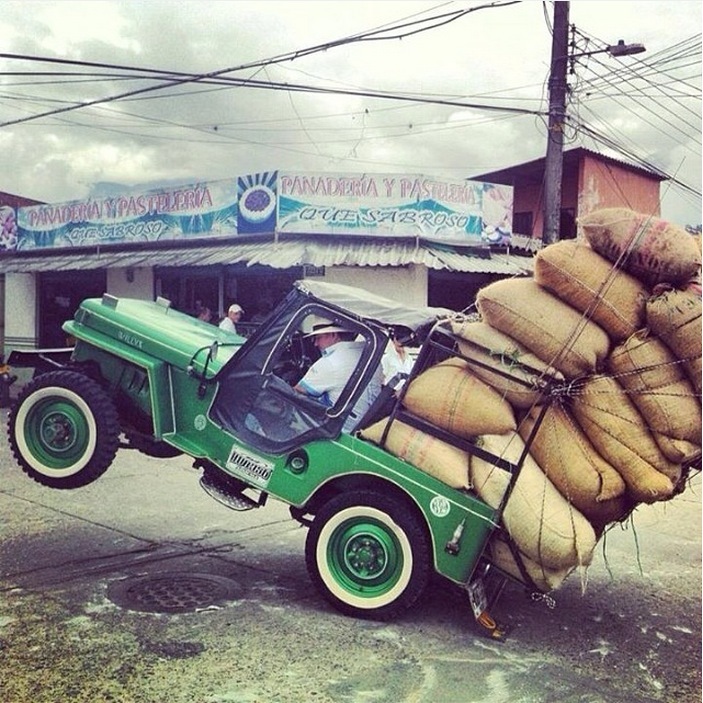 It shows a beautiful and positive Colombia, which would go great with the novel. 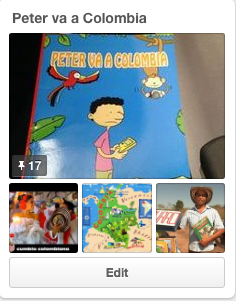 I created an activity for novice students focusing on high frequency vocabulary, and the geography of Colombia. You can find the activity here. Link to Quizizz 1 & Quizziz 2. What other resources would go great with teaching this novel? Please share! One of the requests for a blog topic from a reader were more resources for upper level Spanish classes. It is true that there are many great bloggers out there who teach novice students, and thus share resources for lower level classes. 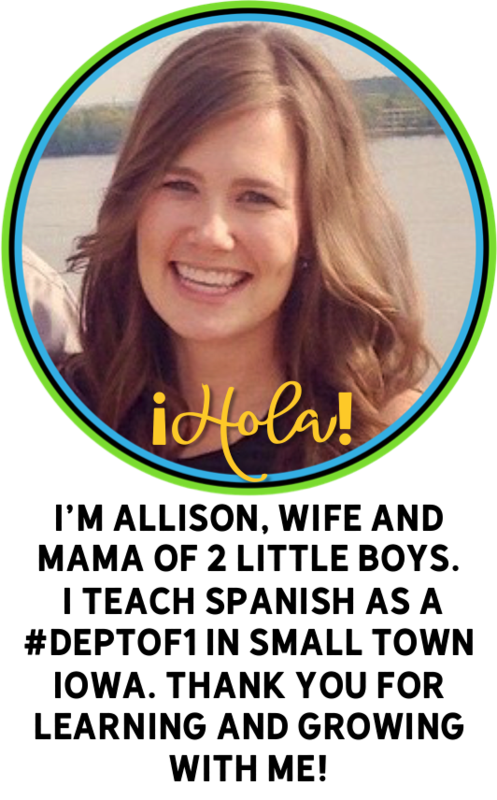 As a #deptof1 I teach all levels of Spanish as the only world language teacher. 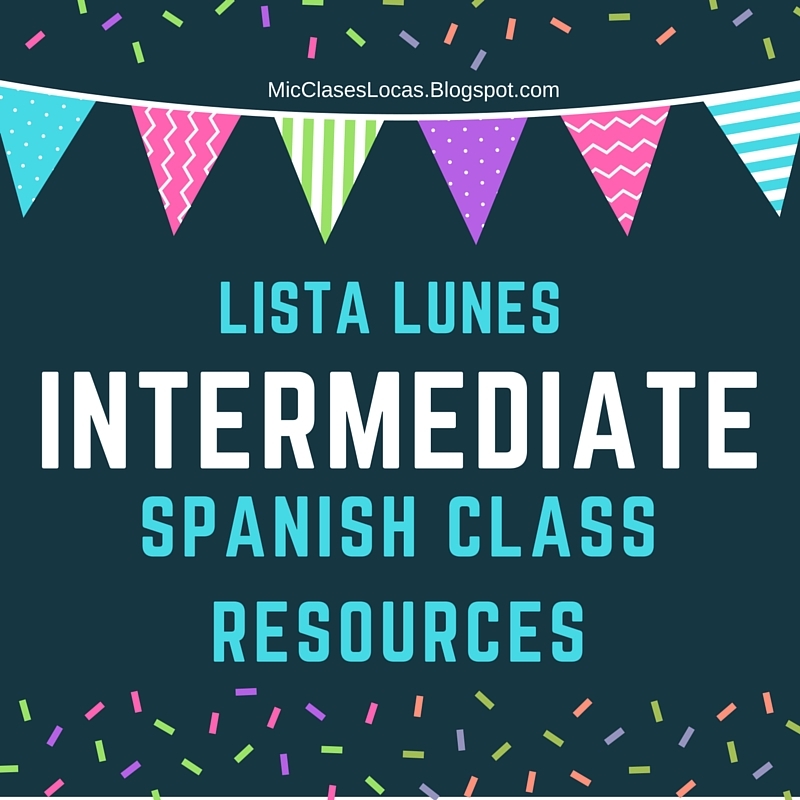 Here are a few of my favorite resources, sites, and blogs for intermediate Spanish students. Monday - Weekend Talk, Tuesday - Writing Prompt (or read), Wednesday - Music, Thursday - Joke/Meme (or read), Friday - dance. I wanted to make sure that my upper level students were getting the challenge they need to keep pushing their proficiency. With my curriculum budget this year I got a ton of resources from Kristy Placido's TPT store, Teaching in Target. 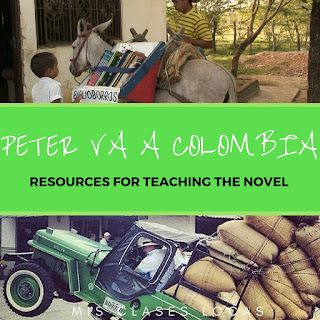 Since she is an author of many TPRS publishing books and guides, obviously her TPT products are perfect to go with the novels that I plan to teach this year. I stocked up on all of the El Salvador (Vida y Muerte), Immigration (Esperanza) and many more resources. Kara has amazing content based units for her upper level Culture and Civilization class. Her unit packets are ready to go and stocked full of authentic resources including songs, videos, and performance based assessments. Everything she shares is gold. 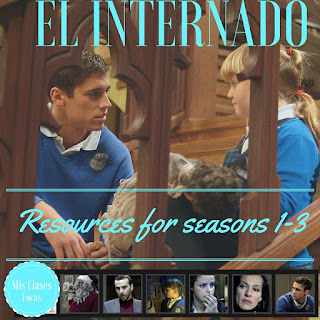 I know many people are mourning the loss of the TV show El Internado: Laguna Negra on Netflix, but it does not mean you can not teach with it this year! I am glad I bought the entire series on Ebay a few years ago, and know that many people have recently purchased it from Amazon.es. It is the best thing I have ever done in class engagement wise with intermediate students. If you are just starting, you must get the amazing guides from Mike Peto. You can see all of the resources I have gathered and used here. Another go to site for inspiration for upper level classes is the blog by Sharon Birch, El mundo de birch. I especially love her great ideas relating to teaching with novels. She also has an amazing music database and is always pinning the best new songs to use in class. What are your go to resources for intermediate Spanish students? Before reading the novel Robo en la noche by Kristy Placido, I wanted to introduce the environment and Costa Rica. I started using some of this Unit by Kara Jacobs when I taught an environment unit with the book Avancemos 3 (Units 1.1 & 1.2.). I took some of the activities Kara suggested and turned it into an exploratory stations activity before beginning the novel. This past year I also added these maps to teach the basic geography of Costa Rica from Elizabeth Dentlinger. In the past, we completed the stations more traditionally, with areas around the room with specific resources, such as listening videos on a computer, and printed off and laminated realia, that students floated to completing them at their own pace. Below is how I would prepare for the traditional stations without 1:1 technology. LEER – print the infografía & imágenes / carteles in color or have access to on one device. With 1:1 technology of Chromebooks and Schoology this past year, the document was shared with students electronically. I put all of the links there together, so students could complete at their own pace, or even do with a substitute teacher. This document with everything all put together, has some accountability for students to complete tasks and answer some questions along the way. 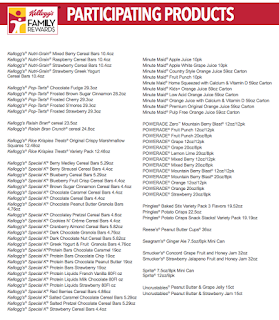 You can download the entire Stations Packet here. 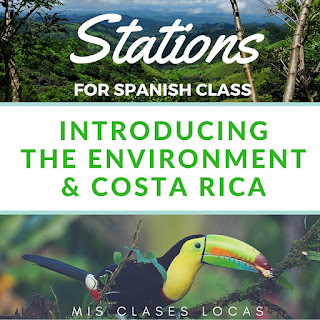 I like that this activity allows students to explore some authentic resources for Costa Rica and the environment on their own, and with peers before starting the novel. You can also see my plans for teaching the novel Robo en la noche here. Finally, here are other example of using stations in Spanish class. 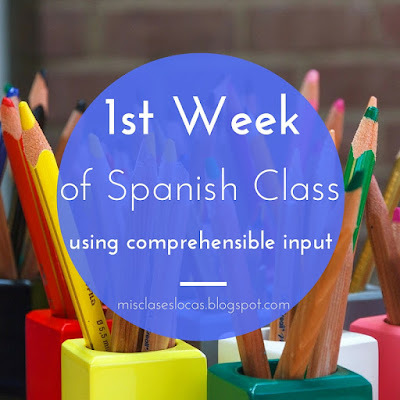 One of the first things I posted about on the blog was a classroom routine that started my first year teaching, Música miércoles. Since it is Wednesday, here is another Way Back Wednesday for you. 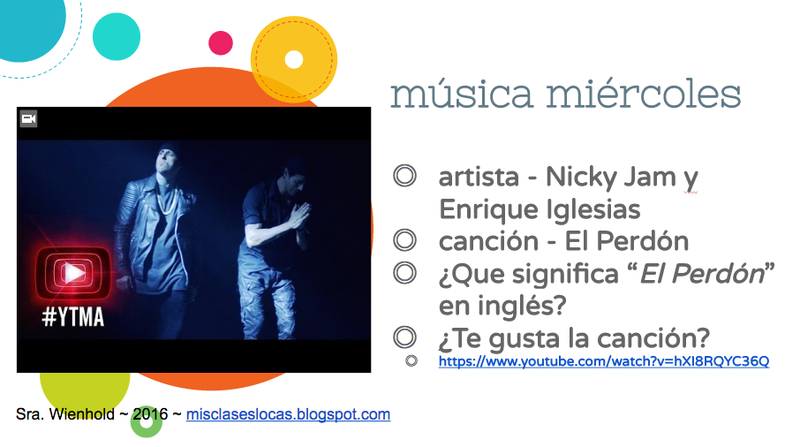 Música miércoles is a Para Empezar class starter watching a music video (or lyrics video for those with inappropriate videos) of a current or classic song in Spanish. After watching the video, we typically talk about the video, artist, or message in Spanish for a few minutes. How do I pick what songs to use? The song of the week may go with the current theme or country of study, or may just be a fun new song. As a department of 1, having the same song for all levels on a certain day, was one way to make my planning easier. I have a very popular and always growing Youtube playlist to keep class favorites organized. Each week I pick either a favorite song of mine or one from Billboard Latino Top 100. I am always on the lookout for new music on Pinterest and Twitter as well. For example, here are a few popular songs from this summer I plan on using in class this fall. 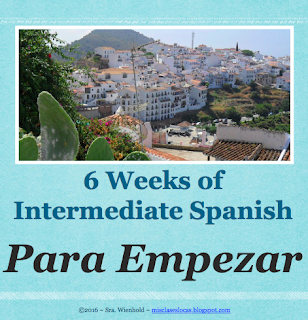 As students enter class on Wednesday, have a video in Spanish playing. I now have the video embedded in Google slides with the artist, title, and some kind of task posted as well. You can get my newest slideshow here. Students watch the video and we then discuss or write about it. Since I have been doing this class routine for so long, I have created quite a few resources that are ready to go. My latest version has a link to a Google slideshow with the videos already embedded. An example of what I project is below. I know a lot of teachers use something similar to expand in their classes, such as the song of the week from Kara Jacobs. Instead of just using the song for one day, you can use it to start class every day for a week, completing different tasks. I have also picked particular songs on Wednesdays that go with our unit of study, and we spend the entire class period doing activities related to that song. 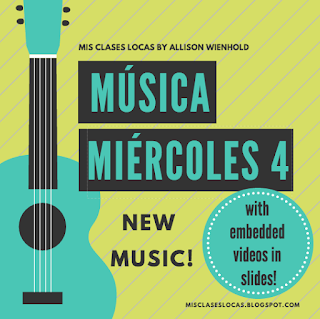 I love using music in class and música miércoles has been the most consistent way I have found to incorporate it in Spanish class, side by side with any existing curriculum. How do you use music in class? This week's libro lunes is the new novel by Virginia Hildebrandt, Las Lágrimas de Xóchitl. This summer at CI: Comprehensible Iowa, I was introduced to a new to me author of novelas, Virginia Hildebrandt. She is based out of Minnesota and you can find her books and resources at 1 Good Story and Bryce Hedstrom. I snatched up both of her readers to add to my classroom library, and maybe someday teach as a class novel. The first book I dove into was Las Lágrimas de Xóchitl. Here is the summary from 1 Good Story. "This book is written for level 1 or level 2 students, novice-low or novice–mid readers. The vocabulary is intentionally flooded with high frequency structures and cognates to easily invite language learners into the story. Family relationships, household responsibilities and sibling interaction are a cornerstone of the first few chapters. Indigenous culture and traditional rural lifestyle is embedded in the novel underscoring the importance of historical ethnicity and the challenge that communities face as they struggle to maintain values and ancient practices. Readers share Xochitl’s view of her reality as she yearns for a more contemporary lifestyle. Her struggle is one that many modern young people face as they try to stay true to their ethnic heritage and history while balancing influences of the progressive world around them. 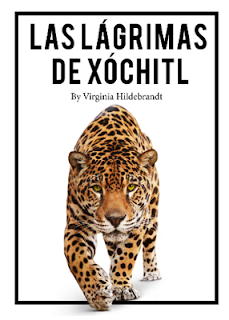 The story follows Xóchitl through joy, heart pounding danger and disappointment." It is important to note that the book is the first in a planned series of two, with the sequel not yet released. It ends on a cliffhanger, that might upset some students since there is not a second book yet. There is a lot going on, which you can tell will hopefully lead into different resolutions in the sequel. 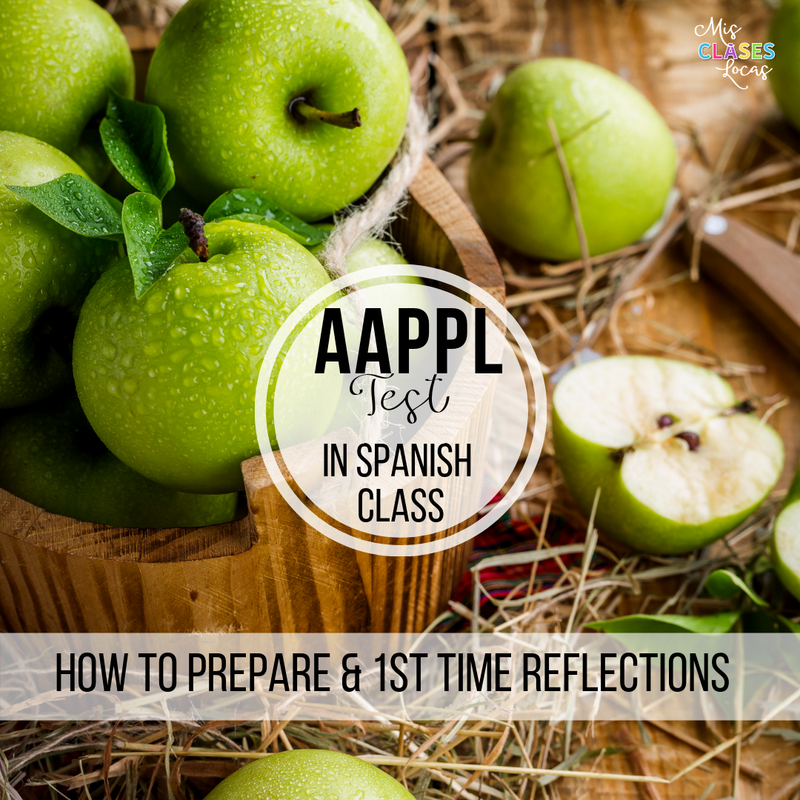 It could easily be taught with Esperanza by Carol Gaab, which also takes place in Guatemala. 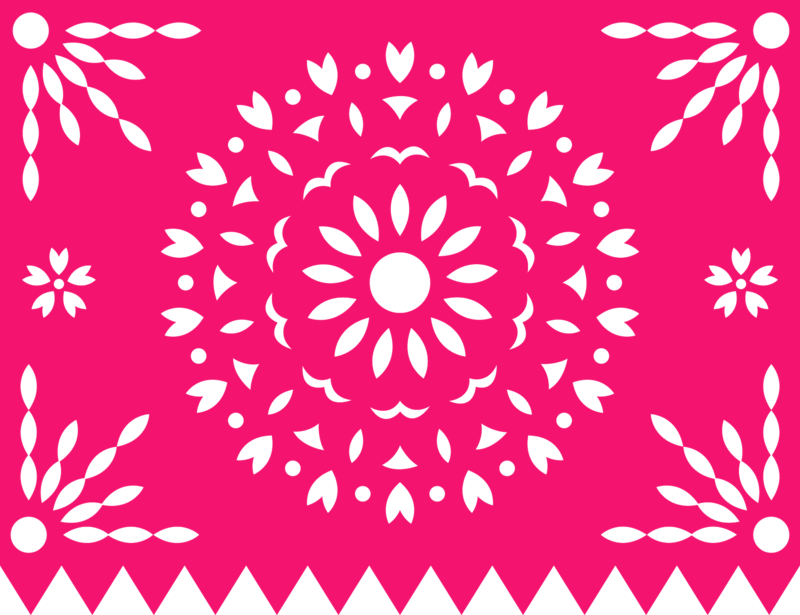 But this novel takes the culture of Guatemala more in-depth, as the entire novel is set in the country. Below are some resources that I would use if teaching this novel as a unit of study. Living on One - A great documentary that shows the geography, poverty and indigenous people of Guatemala. Class Market - This simulation would actually make sense as a part of this novel study. Escuela de Botellas - e-book - This Peace Corp project would go great with the bottle school that is being built in the novel. What new novelas for Spanish class would you add to my must read list? I realized that I actually have quite a few posts with money saving ideas and ways to get free or cheap resources, so I know have them all grouped together under the label $ Saver. 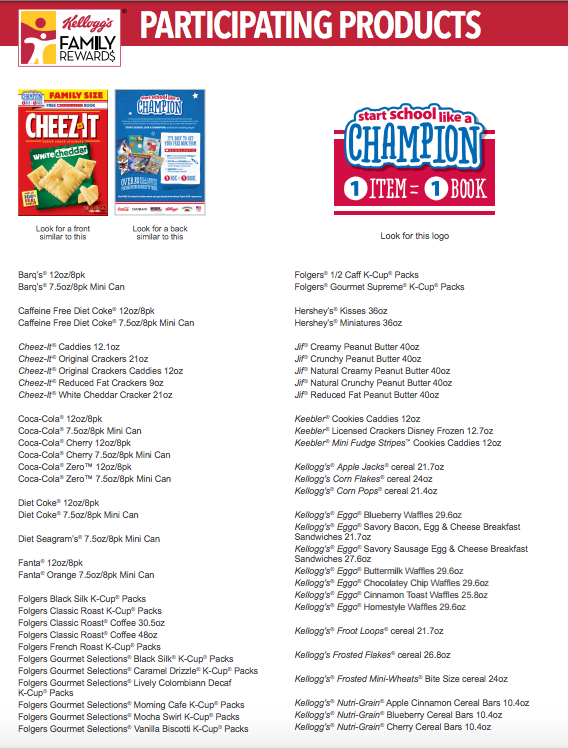 I blogged last year & the year before, about how to get free books for your classroom from the Kelloggs Family Rewards program and now it is back! (No I am not a sponsor of these products). This year the packages must be from Walmart, but 1 package gets you 1 free book! The instructions can be seen above. 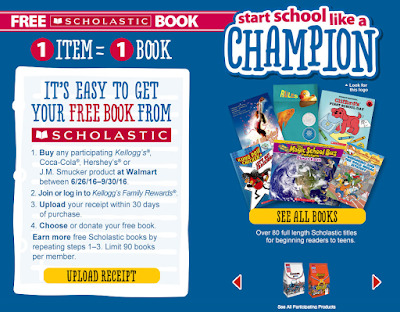 By uploading a receipt from a specially marked Kelloggs, Coca-Cola, Hershey or Smuckers products from Walmart you get a free book. I do not usually shop there, but I will have to, since the books below in Spanish can be earned for FREE through the program. How can you get many free books? Two years ago I put a blurb in our quarter 1 parent newsletter, and actually had a parent bring in a stack of 18 boxes for me! Also, my mom and mother in law are good about saving them for me as well. 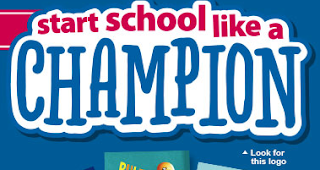 Just make sure that it has the "Start School like a Champion" logo on the front (below), or you will just not get a free book. 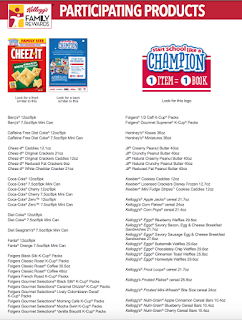 Below are the participating products this year. Just make sure they have the logo above on them to get the free books! You can also donate the books to a school of your choice. See the website for all of the details. 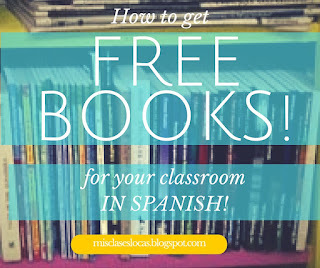 What other way to you have to get free or cheap books in your target language? In honor of my birthday, I am giving all of YOU a gift, a Teachers Pay Teachers sale! 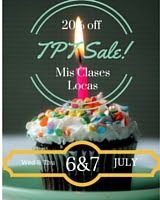 Everything in my store Mis Clases Locas will be 20% off Wednesday, July 6 and Thursday, July 7. Now is the time to purchase anything you may have on your wish list. 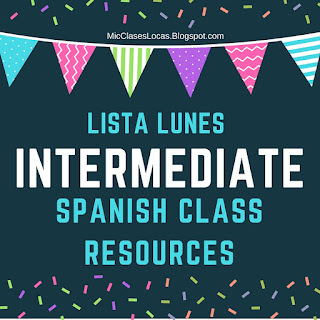 I have many resources for Para Empezar class starters or brain breaks, which include music, dancing and other fun authentic resources. There are great resources for novice classes and beyond. There are also many FREE products including popular movie guides. Check out my store for a party favor from me to you! Now off to enjoy some ice-cream and cake! 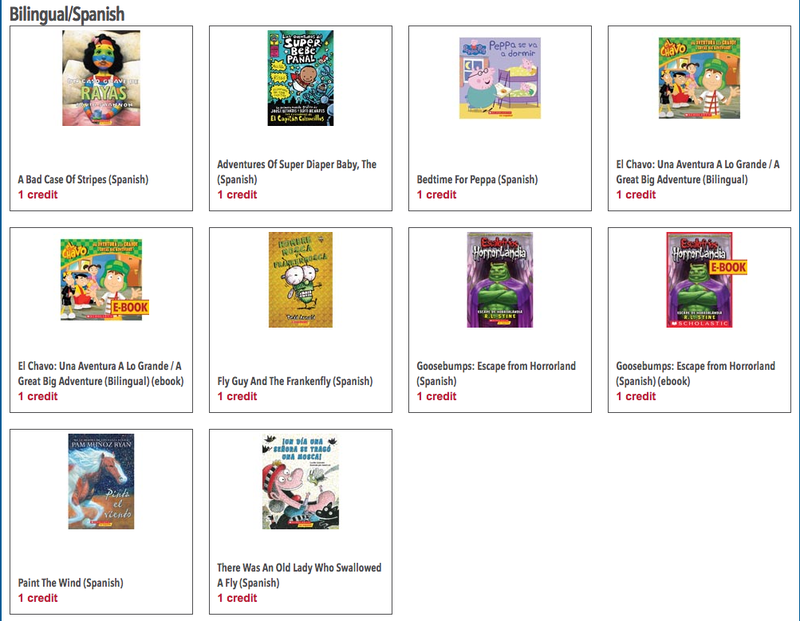 Like many of you, one of my summer hobbies is catching up on all of the new class reader novels for Spanish class. In order to share about the books I have read I will have a libro lunes novel series posts (not to be confused with lista lunes:). This week's libro lunes is the new novel by Mira Canion, El capibara con botas. "An entertaining animal story with science and social studies cross-curricular content with only 55 new words in Spanish. Learn about four geographic regions of Ecuador, the Amazon Rainforest, South American animals, the water cycle, and deforestation. Great for elementary, middle school, and beginning high school classes. Includes numerous illustrations, supplementary English-Spanish non-fiction readings, complete glossary, and an enticing prologue." 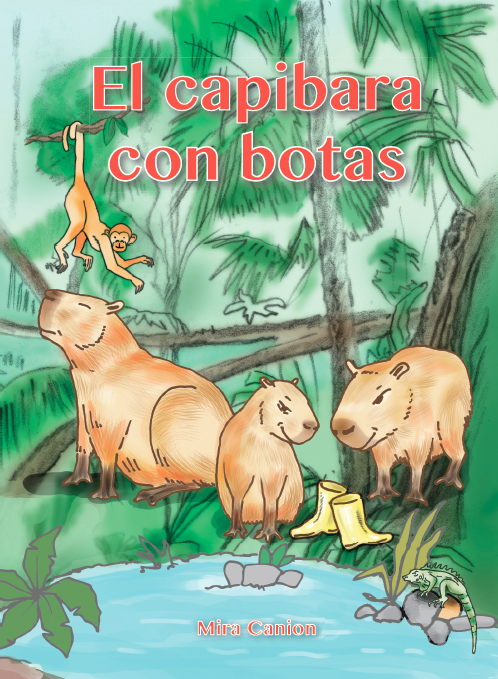 El capibara con botas would make a perfect first novel for any age of student. It amazingly has just 55 unique high frequency words. All of the animals would be entertaining to elementary students, while the adventure and bigger themes of the environment and science related topics would be interesting for high schoolers as well. As a teacher, I love the supplementary English-Spanish non-fiction readings at the end of the book including: capybaras, Ecuador, pumas, jaguars, The Galapagos Islands, rainforests, and the water cycle. They would make for great further cultural and cross curricular exploration. According to Mira, the vocabulary includes some content-specific words: selva tropical, árboles, mono, lago, agua, bote, puma, jaguar, and capibara. But, it is mostly basic high frequency vocabulary such as: camina, nada, salta, corre, ve, tiene, va, está feliz, es, dice, toma, su mamá, su papá, and amigo. There is a great list of themes to explore in the book and there is a teacher's guide in the works. I would personally love to use this novel as a first book in Spanish 1, or even with my junior high exploratory class. I started putting together some resources for the novel here -Pinterest Board - El capibara con botas. Thank you Mira for another great classroom reader! What are other books you have added to your classroom library lately?